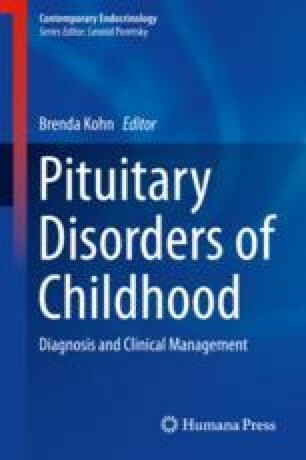 Pituitary adenohypophysial tumors range from small indolent incidental findings to progressive neoplasms that invade the base of the brain. This chapter focuses on biomarkers that have been examined to help distinguish between these differing behaviors. This is particularly relevant in childhood cases where treatment and surveillance plans can have far-reaching implications. We review the familial syndromes that predispose to tumor development. We emphasize the histological subtypes that can be diagnosed using morphologic and immunophenotyping techniques. We then review candidate biomarkers including proliferation markers, metalloproteinases, growth factors and their receptors, as well as hormone and cytokine receptors. We conclude with larger chromosomal aberrations and microRNAs that have been implicated in epigenetic dysregulation. These data provide an integrated approach to formulate a risk stratification system for patients with pituitary tumors.